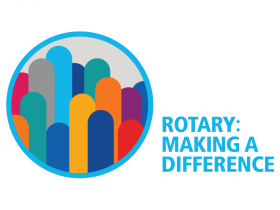 Announcing the 2018 Rotary District 5470 Conference !! Conference/Assembly registration will be on www.rotary5470.com beginning on February 1. The link is closed, but direct reservation can be made for Thur, Fri or Sa nights at 719-546-1234. Mention Rotary District 5470 Ed Group for the $124 rate. The link is closed, but direct reservation can be made for Thur, Fri or Sa nights at 719-719-542-3200. Mention Rotary District 5470 Ed Group for the $109 rate. The D5470 Training Assembly (Friday) will be held on April 20 until late afternoon. The conference will start with the Major Donor's Reception (invitation) at 5:30P and concurrent with a cash bar at the same time. Dinner and speaker will start at 6:30P. The sessions will resume at 8:00A on Saturday and end around 4:00-4:30P. The activities will be at the Pueblo Convention Center. Because of the center's new construction, the south lot will be closed and overflow parking will be across the street. Signs will be posted. Assembly is for Presidents Elect and continuing Presidents and the fee is $40, which includes lunch on Friday, April 20 and all materials. Conference is for everyone and includes diner on Friday night at 6:30 and lunch on Saturday plus all materials and costs just $100. Together the fee is $140 for the two-day event, a real bargain. The Courtyard is $105 per night and they have room with 2 queen beds available. This hotel is attached to the Pueblo Convention Center. The Springhill Suites, including breakfast, are $124 per night and they have rooms with 1 king or 2 queen bed available. This hotel is across the street from the Pueblo Convention Center. Friday Dinner with speaker (Kelly Adkison). Saturday opening session with the Rotary Youth Exchange. Roundtable sessions to share information and get your questions answered about aspects of District Committee activities including RYE, Rotaract, Membership, RYLA, Grants, Scholarships and Insurance. Saturday Lunch with speaker (Mike Forney). D5470 Business session and Legislative session.. This is a celebration for all Rotarians and Rotoractors. It is in the spirit of my "Nuts & Bolts" and Kickin' Around D5470" theme. Let's see how every club has used collaboration and those unique things that your club offers. I expect to see the Paonia "Key". This year's session will include a Club and Business Expo on Friday and Saturday. Every club is expected to have a presence with information about your club's activities to share with others. Tables will be available for display materials. District Service Chair, Bob Stovall will be providing you with follow up information and survey you needs.